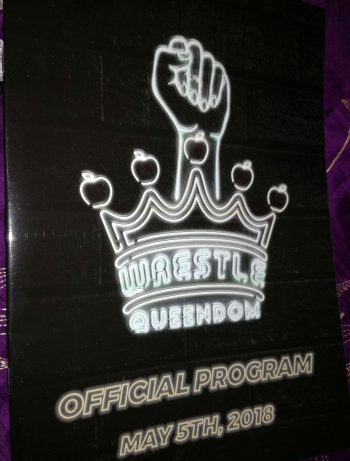 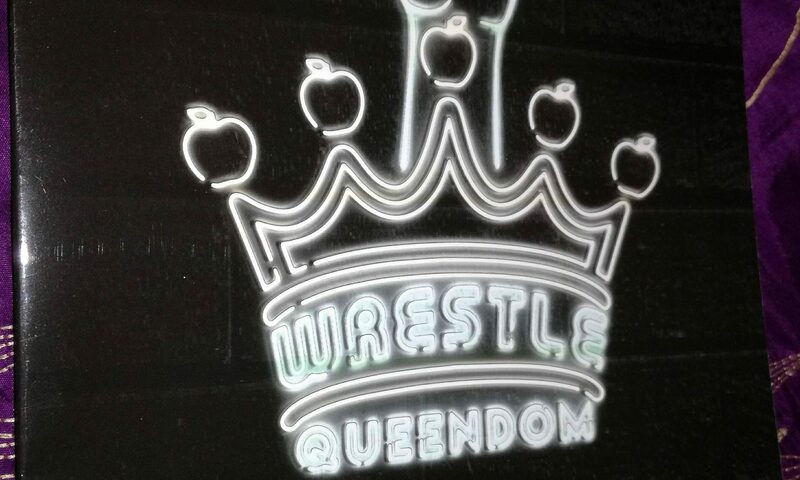 Grab yourself a piece of history with the official Wrestle Queendom 2018 program! The 2018 Wrestle Queendom program was put together and written by women’s wrestling historian and Associate Producer at Firebrand Video, Helen Lavelle. 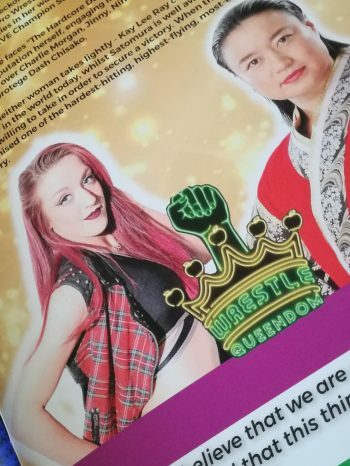 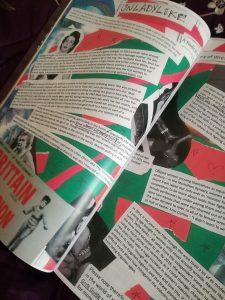 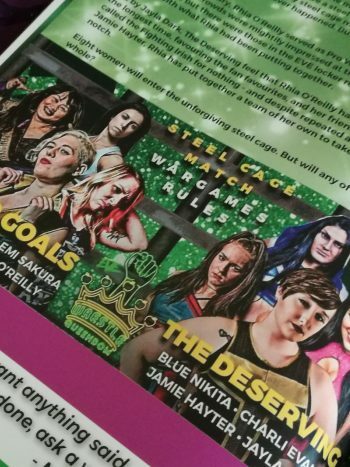 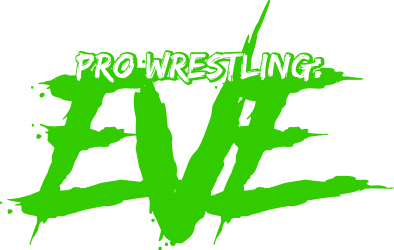 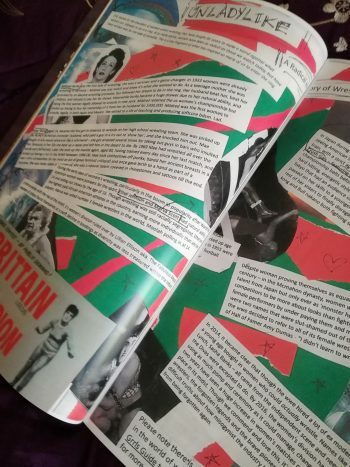 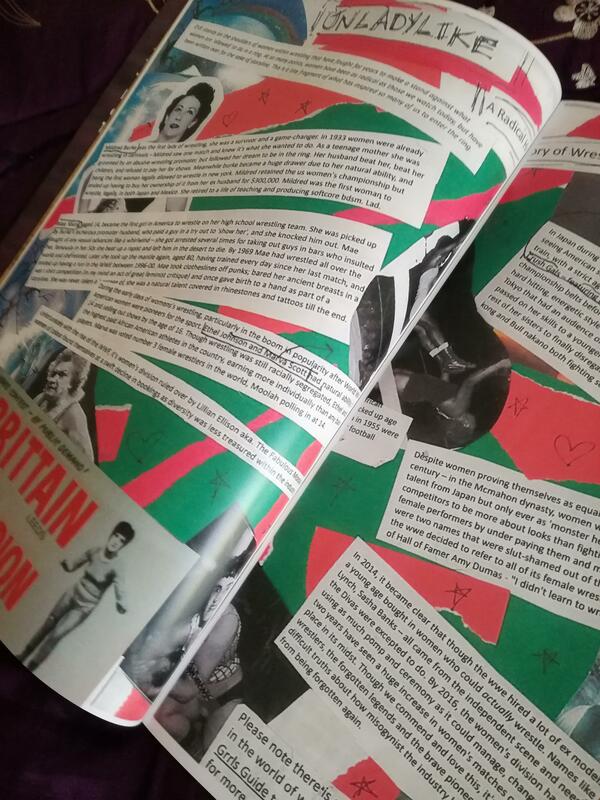 The program has not just pages detailing each match up on Wrestle Queendom but also covers background on Pro-Wrestling: EVE and British women’s wrestling history. 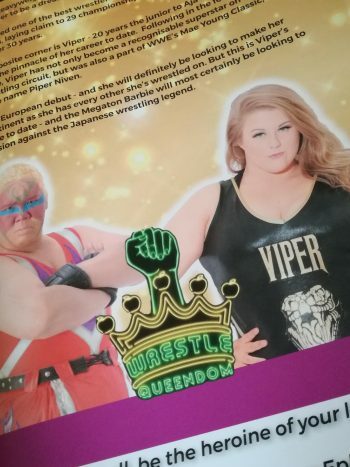 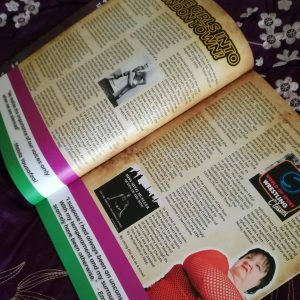 The Wrestle Queendom program also features a double page spread from zine expert and Lucha Britannia star, Heather Bandenburg. 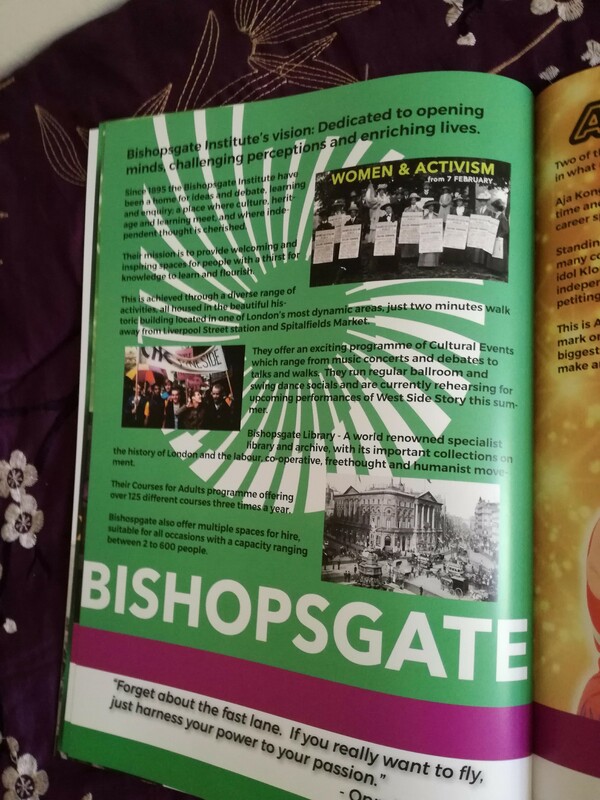 Heather’s writing has featured in places such as The Guardian and Diva Magazine. This beautifully presented program is finished with a gloss cover and is not only a great read but the perfect item to add to your memorabilia collection. **please note** the program was printed BEFORE Nicole Matthews was hospitalised with pneumonia and therefore details of her match up with Jetta is still noted as taking place. 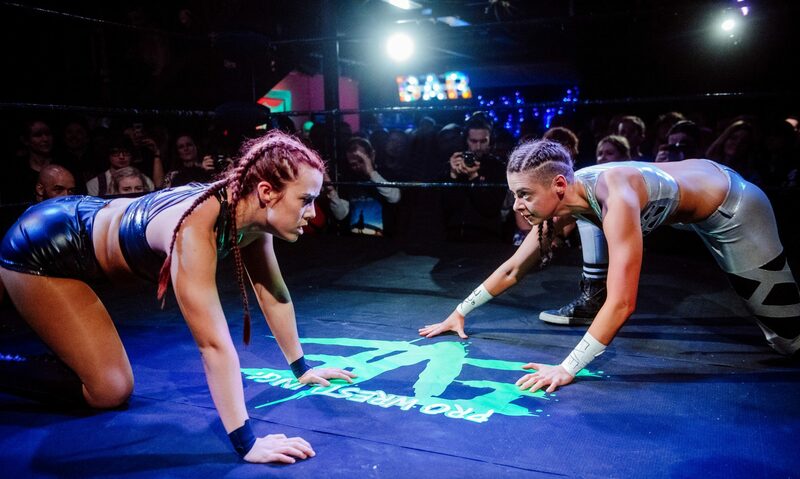 Keep an eye on our social media as that match up WILL be taking at a future date!